Here’s one I missed out on—Adam sent me a text with a picture of the kids inhaling it for lunch the other day. So this recipe is all his. 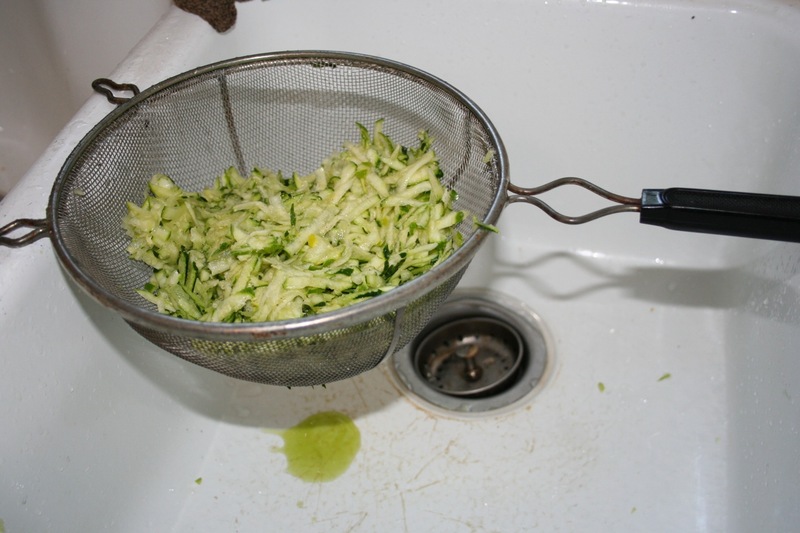 Sprinkle the zucchini with salt and let it sit in a sieve for about 15 minutes. Squeeze as much liquid out as you can. 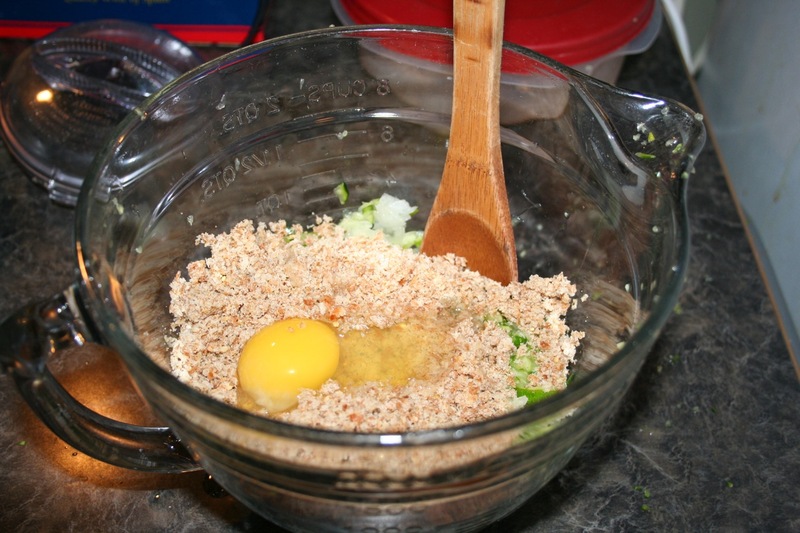 Mix with all other ingredients in a bowl. We used Ezekiel bread crumbs. 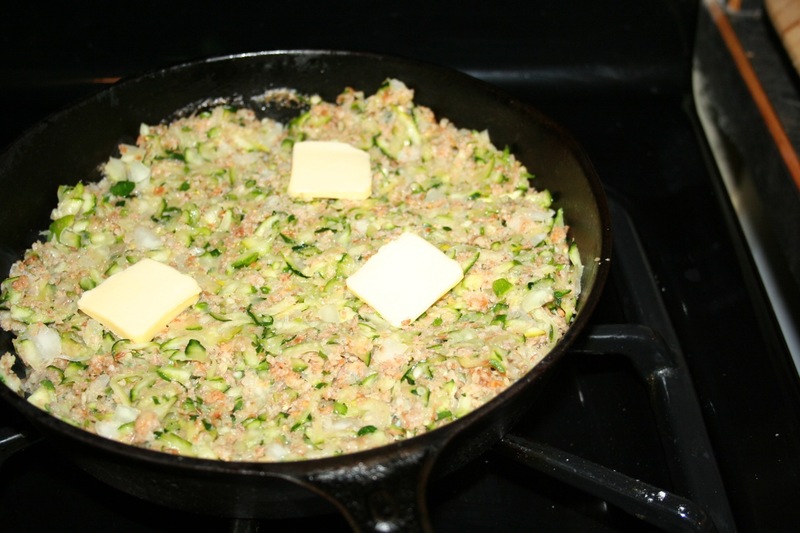 Melt 2 T. butter in a 9- or 10-inch cast-iron or heavy-bottomed frying pan over medium heat. Add the mixture, place a few more pats of butter on top, and cover. Cook until the butter on top has melted, then cut into four pieces and flip. Put a couple more pats of butter on, cover again, and cook until those have melted. You’re done! 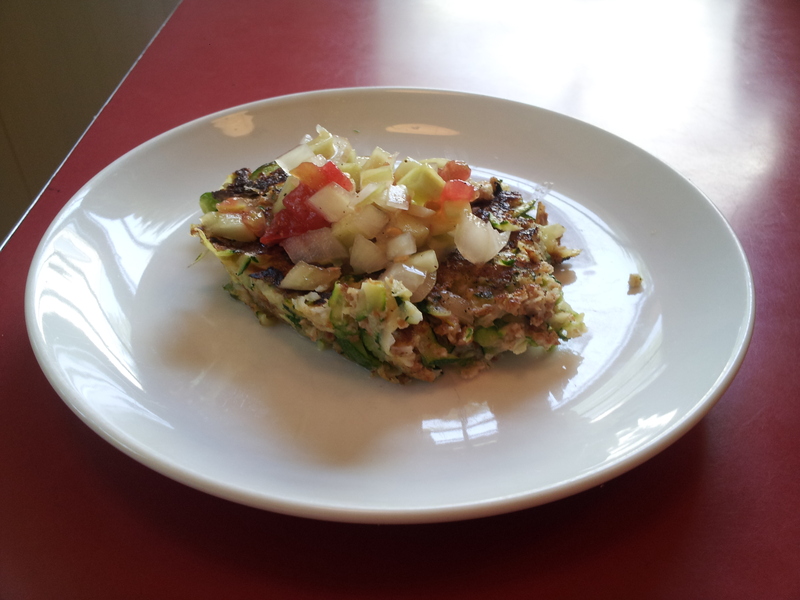 Adam served it with some fresh cucumber salsa (like this). The kids had ketchup on theirs. So sad I missed out on this! Categories: Cooking and baking, Practical | Tags: recipes, zucchini | Permalink.